Interested in trying out freediving with the Indonesian record holder as your instructor? Well, have we got some news for you, because, as of 2019, Thalassa Dive Resort Manado will be offering you the chance to do just that! 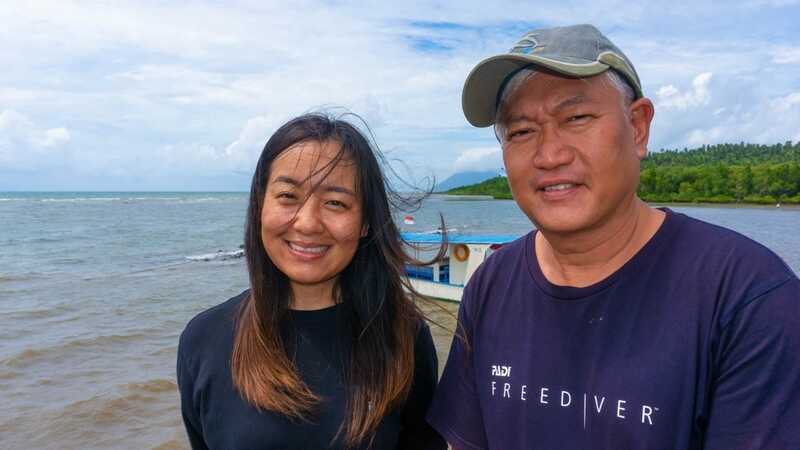 Stanley Sradaputta, born in Surabaya and raised in Jakarta (47) has broken the Indonesian record for freediving at a depth of 81 meters for three minutes, and together with freediving instructor Gisele Gao (29) he will take you on courses as well as fun dives. 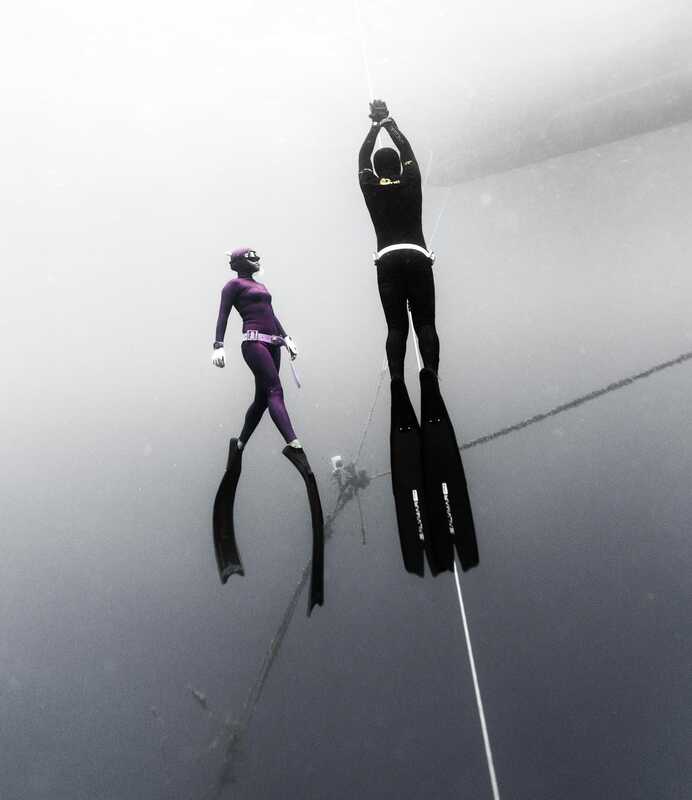 To celebrate this partnership, we sat down with them and picked their brains about freediving. What’s your story, how did you get into the sport? Gisele: I was a medical student in my hometown Beijing, working in a hospital for four or five years. But after a while I got desillusioned with being surrounded by so much illness and misery, so I went on a trip to Borocay in the Philippines, where I took my first Open Water Course, and then I just fell in love with the ocean. Back in Beijing, I had no idea how much I missed the life in the Philippines, so I changed my life around! I took more diving courses from Rescue to Divemaster, finally finishing my Instructor course in Malaysia. 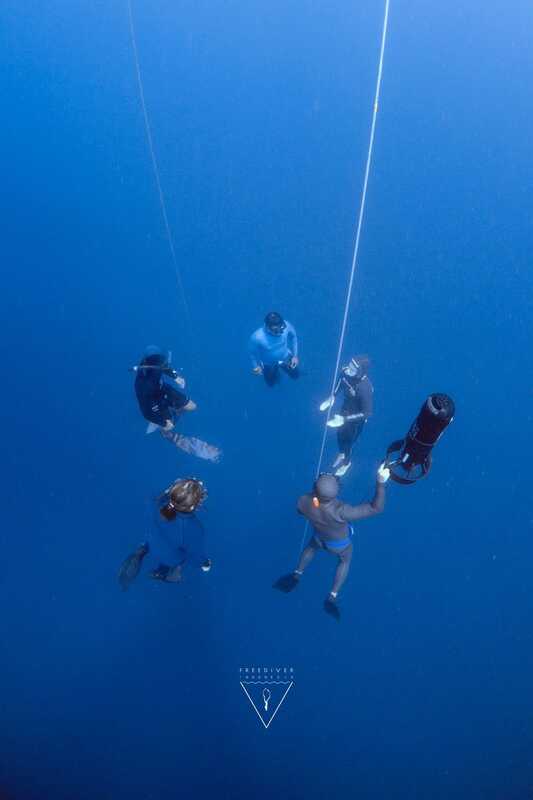 Stanley: Five years ago I saw some freediving instrcutors teaching and I thought: “That looks awesome, people can hold their breath that long?”. As a scuba instructor I thought I’d try something different, so I asked the instrcutor to join the class. I instantly fell in love with it. Gisele: I became friends with a Freediving Instrcutor, and I wanted to try it so I did a Freediving Introduction session with her. Instantly hooked ever since! The Constant Weight event was held during the 2018 Asian Freediving Cup in the Philippines, where I reached a depth of 81 meters. For the Constant Weight class we can use (mono)fins so it’s a little easier to go deeper. The second national record I broke was in the Free Immersion class, and that means that you don’t use fins, but you pull yourself down via a rope. It’s a lot slower, with a longer dive time. My record for this class is at 75 meters. The hardest class is Constant No Fins, where we can’t use fins at all or touch the line. You have to swim down and up, and I reached a depth of 51 meters at that event. What’s your personal best, Gisele? Gisele: My Constant Weight personal record is at 45 meters, which I achieved this year. What is the appeal of freediving for you? Stanley: Not everyone can do it! Not everyone can hold their breath for four or five minutes. But after five years of training, I can hold my breath longer than five minutes! To me, that is just very cool. You decided to move to Manado, how do you like it here? Stanley: It’s just beautiful out here. In Jakarta we have to drive for two or three hours to find a coral reef, and not even as pretty or colorful as the ones here. I also like paragliding, and it’s very accessible here so I can go flying whenever I like. Gisele: After living in the Philippines for a few years and doing a lot of freediving, I heard about Manado, how beautiful it was. Here is where I met Stanley. We decided to work together, so now we finally ended up with you at Thalassa! Stanley: I have many diving friends in Manado, and I asked them where I should go with my little plan. Thalassa was a name that came up very often, so I decided to approach Simone for a partnership. It made sense to work together with one of the first female European Course Directors — there’s a lot of experience to learn from there! If you are interested in trying freediving for yourself in the new year, Stanley and Gisele will be your guides to going deep! Contact us for more information. We’re looking forward to this exciting new co-operation with these two.